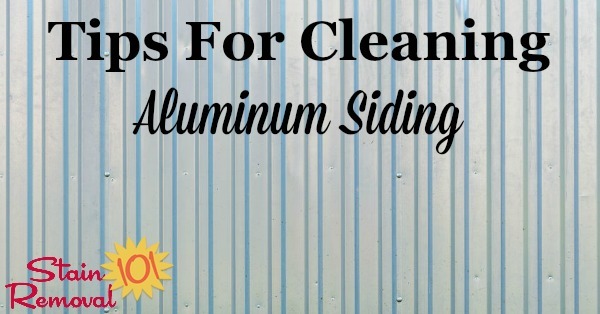 Here is a round up of tips for cleaning aluminum siding. When you submit your own tip, make sure to tell me both what cleaning products, and also equipment, helped you clean up this big job. Many buildings and other items around your home may have aluminum siding. 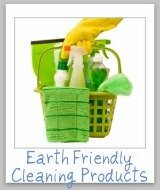 Because it is generally outdoors it tends to get pretty dirty, with exposure to the elements. 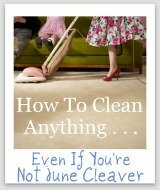 Also, because it is outside it may develop mold and mildew, and I would love to know what has worked for you to get rid of these, specifically. Aluminum siding can also be expensive, so when cleaning it you don't want to harm it. 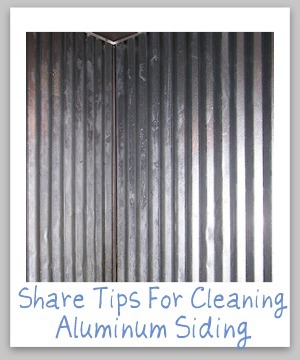 Therefore, share your tips below for how you clean aluminum siding, and what has worked well for you. Please note there are also many other aluminum items in your home. 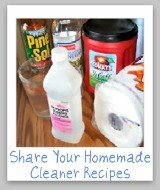 If you have tips for cleaning other aluminum items, share your other aluminum cleaning tips here. 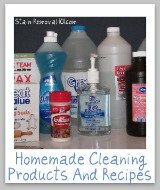 Please share your best tips, since the great ones will be feautured on this site! 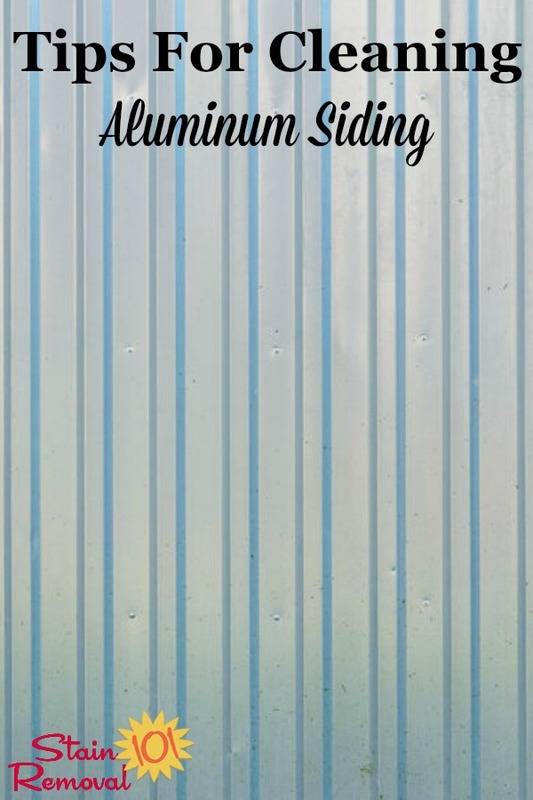 Aluminum siding is a common object that needs cleaning in our homes, so share your tips with me for how you do it.